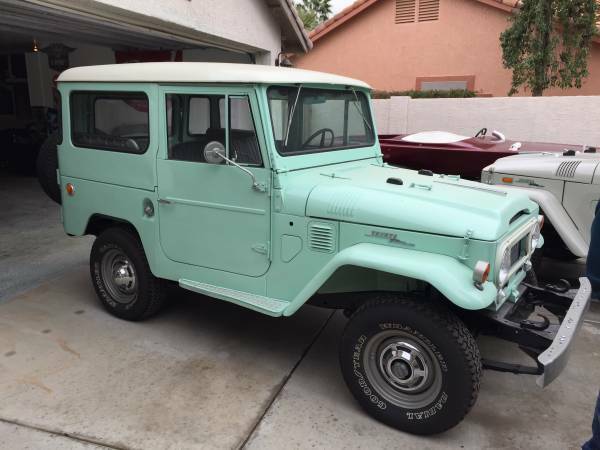 Showing Articles Posted In: "1965"
Toyota Land Cruiser for sale, this pick up was originally sold in California. Toyota only imported this model to the USA in 65 & 66. A few left over 66 models were sold as 67s. It is in survivor/driver condition and has NOT BEEN RESTORED. The truck has been repainted once. The quality of the paint job is not the best, but the truck still looks good. 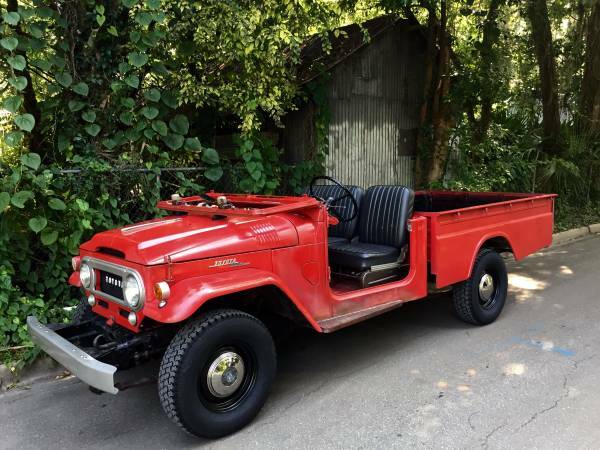 Everything is original to the truck with the exception of the carburetor. This truck is in driver condition. It starts, steers and stops as it should. Very few still exist in original condition. No hacks or V8 conversions, top and doors included.